Alvaro Morata doesn't envisage talisman Antoine Griezmann departing Atletico Madrid any time soon. 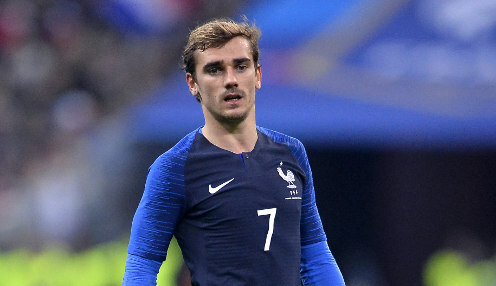 The French international has often been touted for a move away from the Spanish capital, with Barcelona heavily interested in his services last summer, before Griezmann announced via an elaborate documentary that he wanted to stay. Morata, who joined Atletico on loan from Chelsea in January, can't see the key forward leaving this summer. "I'm not worried. In general I see Antoine very happy with us. This is his home and I think he's happy here," said the Spaniard. Morata is thankful to be involved with Spain after a tough spell at Chelsea saw his career stalling under the stewardship of Maurizio Sarri. He says he now feels ready to get back to his very best form, for both club and country, suggesting he finally feels trusted again by his coaches. "I needed trust, that's for sure," he added. "I came from a bad time but that's in the past, let's leave all that behind. "Right now, I'm where I've wanted to be for a very long time and that's what matters. I'm very grateful to my new coach as well as to the national team coach for their trust because it's thanks to them that I'm reaching my highest level again and I'm enjoying the pitch." Spain are 2/9 to defeat Norway in their Group F opener on Saturday. The visitors are 16/1, with the draw priced at 23/4.